Yes, yes, this week's review is a day late. I developed a nasty sinus infection over the weekend, which delayed the writing of this post. My apologies. 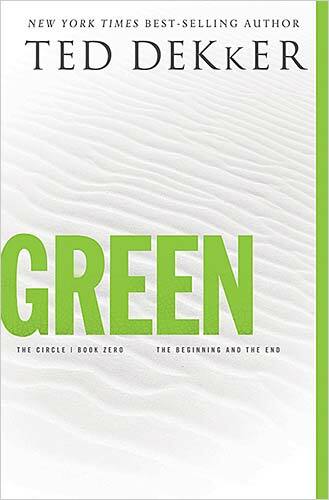 Green is the beginning/end of the Circle series (because that's not at all confusing, now is it). Well, when we're talking about science fiction that deals with wibbley wobbley timey wimey stuff... it's going to get a little bit confusing no matter how I try to summarize it. In the future, where Thomas Hunter stayed after sacrificing himself in the present to save the world from a deadly virus, the stage for a war to end all wars is being set. His oldest son, Samuel, turns his back on the Circle to align with dark rebel forces. Thomas is broken-hearted, but determined to save the Circle and Samuel both, even if it means going back to the world he left behind. Before The Circle became a four-book series, it was a trilogy I read one summer break in college and fell in love with. Since the trilogy seemed complete, I left it at that. When a teammate on a mission trip a few years later was talking about the series, I got curious. While it was lovely to spend some time with Thomas and Kara and Monique in the same room again... well, that's all I can say I truly liked about the book. Maybe it's because Black, Red, and White felt like a complete series without Green. The best way I know how to describe my feelings about Green is that they are similar to the feelings I had about watching the Gilmore Girls revival. Nostalgic, but the original series ended in an acceptable place. Everything wasn't picture perfect in their world, but the story of getting Rory through an Ivy League education was complete. Basically, the story of how Thomas Hunter saved the world was complete at the end of White. I understand (too well) there is a demand for trips down memory lane, that people love stories that come in a serialized format. Unfortunately, this creates a situation where a story doesn't end at its natural ending because we as readers don't necessarily know what the natural ending is, and the writer writes past it because we as readers demand more. Please, if I ever veer off into that territory, don't let me get away with it. Please? 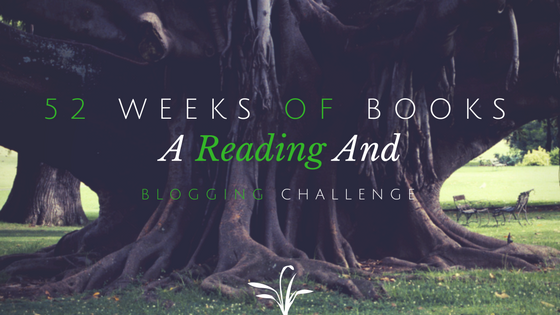 52 Weeks of Books Challenge? What is that? What book is Cat reviewing next week?